Today, I am going to show you how to start a blog and make money online. This is going to be a comprehensive guide to start your blogging journey. This side hustle is earning a full-time income for me and it’s only 7 months since I started!! I am not a techie or a professional writer, just a work-at-home mum of two kids. I have learned and implemented things through my blogging journey, but the first step that I am very happy that I took was – Starting a Blog. 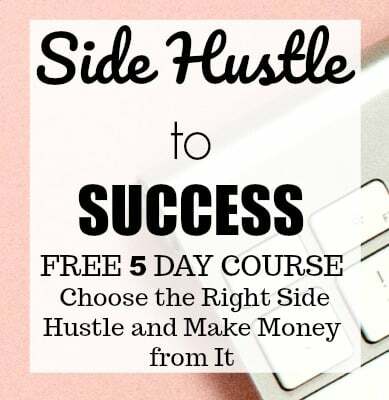 On my blog, I have always talked about money-making side hustles. This one has proved to be a great income earner for me. 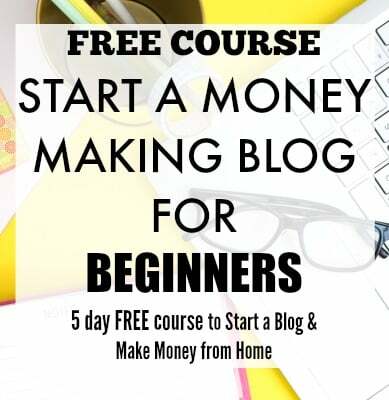 Today, I will show you all how to start a blog to make money even if you are a beginner or a non-techie. To make it easy for you to start your blogging journey with least investment, you can sign up for a cheap price of $2.95 (remember this price is only through my link for a limited period of time). That’s over 60% off the usual price! Now that’s almost equal to nothing, right?!! I am not sure how long this low price will be available, if you don’t grab this now you end up paying $7.99/month for the same plan. You also get a FREE domain name when you sign up for a 12 month plan with my link. I am giving away a detailed mini-guide on how I went from $0 to $1000 with a new blog without having any special skills. It will show you the exact steps I took to go from scratch to my first $1000, so you can implement similar strategies. This guide can kickstart your brand new blog earnings. Just send me your domain details ([email protected]) after signing up and your mini-guide will be on it’s way. Blogging is a great work-at-home option, and it is suitable for anyone who has no expertise at all. It has a potential of becoming the primary income earner for you. It can give you the independence of pursuing your passions and still make money passively. I started blogging seven months ago in July 2016 and haven’t looked back since then. I am already making a full-time income with my blog, and you can do it too. My journey has been an amazing one from the day one and I totally love what I am doing. Blogging has given me the security of having another income, spend time with my family and pursue my passion for helping others. Coming to the money making aspect, I started making money from my blog in the third month and now I am making over $4000/month from my blog. What I love about this is, it has been mostly passive form of income. All this would not have been possible if I didn’t take the step to start a blog. I never thought that making such an amount from blogging is possible. So, if you want to take the step to start a blog to become a successful blogger, today is the day. In this post, I will show you the step-by-step process of starting a blog to make money and share the tips to grow traffic to your new blog. But first, let me answer some questions which are in your mind. A blog is like a digital journal where you talk about your passions or interests. It is a place where you share and help others with your expertise and talk about what you love. You need to choose your niche and your area of interest related to your blog. My blog, Crowd Work News is all about side hustles, work-at-home jobs and money-making tips. Choosing your niche can be a long process because it has to be something which you are interested in. Use this trick when selecting your niche, if you can come up with around 30 post topics in your niche, then it is a good one. Absolutely. Blogging is one side hustle where you don’t need any expertise to start and you can still make considerable income from it. Whether you are a stay-at-home mum or a student or a retiree or someone looking to supplement your income, you can start a blog to explore your options of making money online. You don’t need any technical or special writing skills for blogging. Making money from blogging doesn’t require special skills, but it does require the same amount of hard work and dedication as any other work-at-home job. Ask yourself “What do you love doing?”. I like finding new ways of making money online. I have been working from home for eight years now, so I wanted to help others to choose a location-independent income option. That’s when my blog got kicked off. You should always blog about what you love. So, try to brainstorm what you are good at. Are you good at making desserts or cooking? Do you just love talking about your lifestyle and your mum life? Do you love money management? Are you a fashion junkie? Are you an expert in Web Design? There are millions of blogs on every topic, so anything is a possible blogging option. Here is a list of 50 successful blogs in every topic imaginable. Some inspiration for you to get started!! It totally depends on many factors but it is possible to make a good income from blogging. My life totally changed when I started earning in the 3rd month of my blog. Though it was a small amount, it has been growing every day. Now, I am making much more than that. If you use the right strategies, then making money with your new blog is surely possible. In some cases, it might take time, but it’s possible. Check out my previous month’s report to understand those strategies. Of all the side hustles or work-at-home jobs, blogging can give you a great possibility of making money online. Do you need to spend a LOT of money to start a blog? Absolutely NOT. You can start a blog for a price as low as $2.95 per month (only through my link for a limited time!) That’s almost equal to nothing when compared to the possible income you can get from your blog. You can start a profitable blog for that price which can earn more than that. Bluehost is the hosting provider which I recommend, and you can start your blog quickly for this low price and get a FREE domain as well. Bluehost also has a money back guarantee, so you are stress-free. It is the first step you take when you start a blog. A domain name is pretty much like your address on the web. For example, my domain name is crowdworknews.com. Choose a domain name which relates to your niche, and this might take some brainstorming because not all domain names you want might be available. You can register your domain name with any registrar such as GoDaddy, Network Solutions or you can register the domain name directly with Bluehost. I would suggest you go with Bluehost so that it’s not too complicated for you and you have both your domain name and hosting with one company. 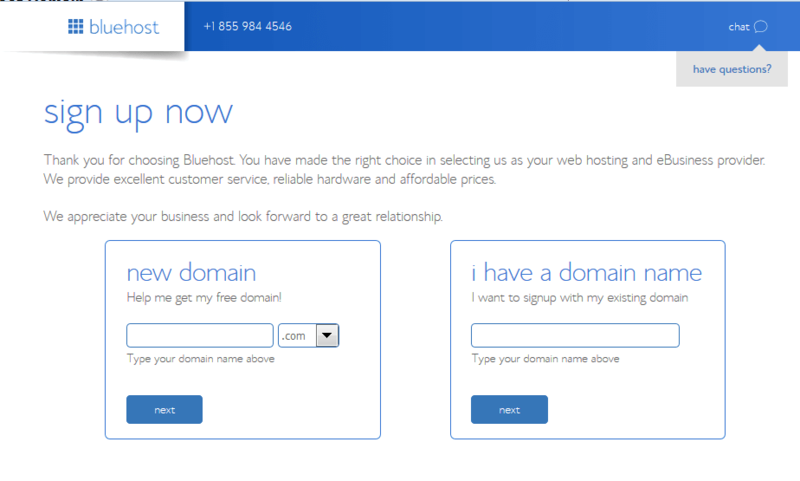 You get a domain name FREE if you sign up with Bluehost for a 12-month plan. I have signed up for 36 months, as it works out to be cheaper than paying every month. There are free web hosting options like WordPress.com and Blogger.com, but if you are serious about making money from your blog, then you need to go with a self-hosted option. With a self-hosted blog, you monetize it fairly quickly, and you own all your content. If you want to start your blogging journey on the right foot, then go with self-hosted. I have hosted my blog with Bluehost, and I never had any issues with it. It offers the lowest price for hosting, and I am very pleased with their support. Then you will come to the web page below, where you have three options for hosting namely Basic, Plus and Prime. I am with the Basic plan and that is more than enough for me. You can always update the plan later if you need. Another reason why I recommend the 12-month plan is, you save a lot of money when compared to paying month by month. It covers many things along with a FREE domain when you sign up for a 12-month plan, and this is just for $2.95/month! Now is the time to register the domain name that you chose earlier. If you have your domain name with other hosting providers, you can always transfer it here. After you have given your details, you come to this screen where you have to choose your package. I started off with a 36-month plan at $2.95 per month. If you don’t want to go for a long-term plan, then you can go with a 12-month plan. It saves a lot of money. As a beginner blogger, you don’t need to worry about the extras. If you need them, you can always update them later. 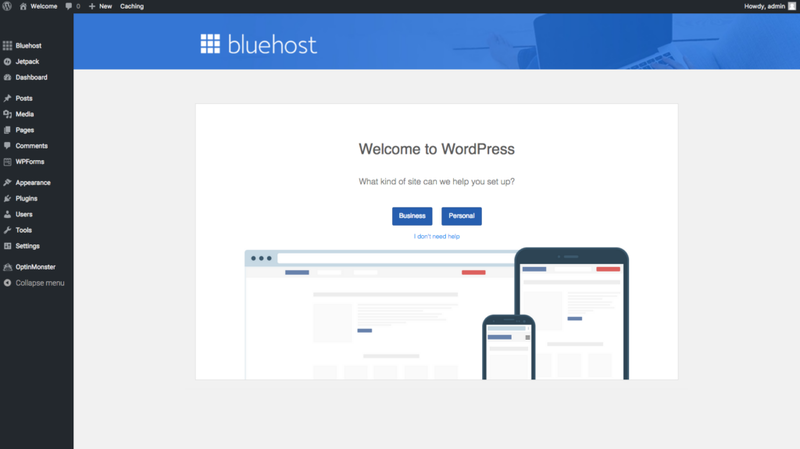 And now for the best part, Bluehost automatically installs your WordPress after you sign up for hosting so that you don’t need to any techie stuff! You just have to login with your WordPress credentials. You need themes to make your blog look good. You have to log into WordPress and then go to ‘Themes’. There will be some free ones that are available to you. You can always use free themes to design your blog, but if you want to go with paid themes, then I suggest Genesis. My blog is with Genesis theme and I highly recommend it if you want to go for a paid one. The important thing I did and would advise you is, have rough drafts of at least ten posts before you launch your website. That way you have your content ready, and you can work on the promotion when the launch happens. Try to understand what your readers want, read their comments and know what they need. Writing and promoting go hand in hand. Writing a post can be relatively easy when you know a lot about your niche but trying to solve a reader’s problem is something which is going to get returning traffic. One thing I do is, go to forums and places like Reddit, Quora. There are discussions here, and they can be a gold mine for your blog post ideas. You can also sign up for Google Trends, you will get top trending news about your niche, which can be good post topics. When I first launched my blog, I did follow all the steps as mentioned above and started promoting it heavily, and I ended up getting over 16,000 page views in the first month of my blogging. Content is the king, but promotion is the audience. 1. Before the launch, let your friends, family and others know about the launching of your blog. That way, right from the first day of your launch, you can see some good traffic. It is also an excellent time to start growing your list. You can have a landing page where the readers can sign up for your list. 2. Set up your social media channels like Facebook, Twitter, Pinterest and Instagram from the start. I started with these platforms and Stumbleupon. Share your blog news on the social media and promote it on all of them at first, to see where you get more traction. Don’t try to be on all platforms; it is going to be very tiring for you. Once you figure out where you are getting most of your traffic, focus more on that channel. 3. Join Facebook groups relevant to your niche and promote. As you have targeted audience in these groups, you can see a rise in traffic. Share your posts regularly on your FB page, and most of the Facebook experts say sharing 4-5 posts shows good reach on Facebook. 4. Use Pinterest a lot. I didn’t focus on Pinterest in the first two months of my blog, but after third month I was using this platform and saw my traffic numbers go up exponentially. Pinterest has been great for many bloggers, and it can do wonders for you as well. It can be very overwhelming to get into the Pinterest game. You can take the help of tools like Boardbooster or Tailwind to schedule pins. I use both of them along with my manual pinning. 5. Always test different social media channels with different timings, types of posts and see what works. I have experimented a lot with my schedules and the types of posts I share. When I first started with Pinterest, the growth was very slow, I researched what worked on that social media and started pinning that content. No two social media channels are the same, and one strategy might not work for another. 6. Getting organic traffic is a more stable way to keep up your traffic numbers. SEO takes time and you need to learn a lot. I am just starting with SEO and will keep you updated about my traffic. There are many ways to monetize a blog such as display advertising, affiliate marketing, sponsorships, product sales, etc. How much you can make from each these methods depends on your traffic and reach. I love affiliate marketing, and most of my blog income comes from affiliates. It is the most passive way to make money with a blog. You have to apply as a publisher with the affiliate programs like iGain, Flex Offers, Shareasale, Maxbounty. Once you are accepted, you choose your brands and start promoting. These are the affiliate programs I am with and I have seen good conversions with them. I will share a detailed post about what are the ways that you can make money from blogging especially with affiliate marketing. Blogging is a very profitable side hustle or for that matter a full-time income earner for me. It has given me the freedom to pursue what I love instead of trading my time for work. It has proved to be a very flexible and profitable money-making option for me (I am a total non-techie), and it can work great for you too. So, don’t wait anymore, go ahead and brainstorm all your ideas and start your money-making blog today!! Thank you for sharing this. I’m planning to have my own blog. For now, I’m having some brainstorm with my friends and family on what kind of domain name we should be using, as much as possible I want it unique same with the tagline. Anyways, such a informative article and a good read for beginners like us. Cheers! I have been so interested and all your money making hustles and I have signed up for your newsletter and get periodic emails from you. I am finding it profitable doing surveys in the mornings which I make close to $100 a month for but I would like to make more money and this blogging article that you just wrote sounds highly interesting but I am afraid because I have no idea what I’m doing I understand that I have to find my Niche and my Niche is upcycling I do have small little eBay store where I sell all my products could that be something that I can write about? I am so glad you find my posts helpful. As I have mentioned in the post, try to brainstorm around 10 to 20 post ideas about your niche. If you can you come up with that, then you can go ahead and start your blogging journey. And I surely believe you can blog about your interest (upcycling). Will installing wordpress and paying a monthly fee get you the traffic that you would need rather than having a free site? For any site whether it is free or paid, you need to promote and implement different strategies to get traffic. But with WordPress.org you have a better monetization possibility. This post really got me interested in blogging. Enough to open up Bluehost and type in my domain name. I got all the way to the part where it asks for my card information and I chickened out. Does my blog have to be a ‘how to’ per say? or can I write in any form, such as, my experience with thing in my niche? If I can do that, i would be able to write many posts. If it has to be information on how to do something, i might have 2 or 3 posts. You can definitely write about your experiences in your niche, that will give your readers a better perspective of your niche. Every niche is different and what works for one might not work for other. Hope that helps!! Hi this was very interesting! Do you think there’s any market for a au pair/ full time nanny. Last year i started to travel as a nanny and maybe this is something I could write about. I believe travel as a niche is in high demand. You can always talk about your travel experiences tied around your work as a nanny. You can surely write about this!! Did you form an llc for your business? I see that some do and some bloggers don’t. Any thoughts? Thanks and really like your site! I am in Australia, so registered a company(Pty Ltd). I see that some of the bloggers do form an LLC, may be you can take legal advice on this. I am so glad I came in contact with your Blog. I am currently working part-time, but will be a stay-at-home Mom starting June 1st and therefore, began researching ways I could make a little money. I am really going to work into the blogging world and see if I can find my niche. Once again, thank you for putting your experience out there for the ones who has no clue on how even to begin! I have signed up for your blog, so I’ll be hearing from you quite a bit! Thank you for the information. I look forward to seeing what the affiliate relationship can really offer! Glad you like the post. Affiliate marketing can be really great if the right strategies are applied. Yes, it will. It’s not location dependent. I am in Australia and most of my traffic is from the US. Would it be better if I start with a free blog like WordPress and then convert it into a paid one ( really donno how this works). Won’t having ads in free versions pay? What is the upper hand for having a paid service? My niche is photography and related stuff. Any opinions? WordPress.org gives you more freedom to monetize with ads and also other methods like affiliate marketing. With wordpress.com, you cannot use custom themes and in your niche, it might make a big difference. Thanks!! I am glad you found the post helpful. There are many blogs out there in different niches and the best way to monetize would be to go with affiliate marketing or if you prefer more passive way, then you can start with display advertising. If you promote using the right strategies then getting traffic is possible in any niche. Hope this helped. Please do mail me if you need any help. It is not location dependent, you can blog from anywhere. 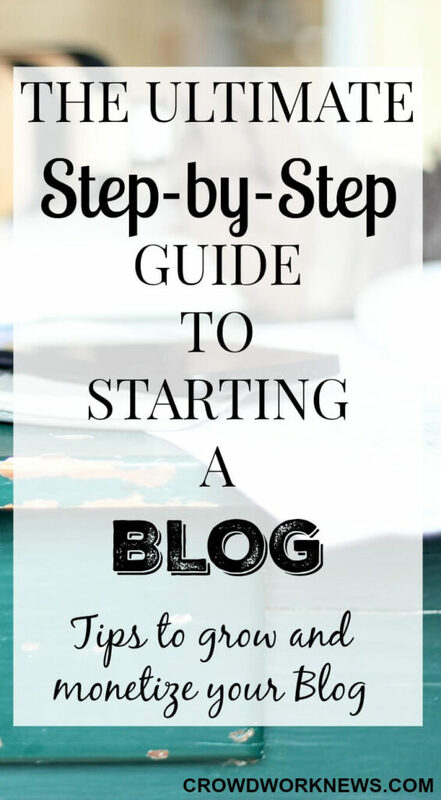 I had never considered blogging until I saw your step by step guide. It sounds very interesting. I will try and start blogging…..
You can follow the steps in the post to start your blog. I am working on starting my own blog. Must say, your blog is so very interesting and informative. Thanks a lot for sharing all this 🙂 Really helpful. 2. It would be great if I could connect via email/Facebook with you. Hi Sireesha, loved the article. I have saved it for future reference. I’m also starting my own blog entries recently and I will definitely follow your advice. Hoping to see more of your articles soon! Keep up the great work! thank you for all the advice! i just started a blog and am trying to figure out how to monetize it. How many posts should my blog have before signing up for affiliate programs? Or can i sign up right away? Congratulations on starting your blog!! There are many ways to monetize like ads or affiliate marketing. It’s good to have at least 5 to 10 posts live on the blog. You can always sign up right away but having some posts on the blog can help you get accepted by the affiliate programs quickly (some of them). Thank you for the information. I am currently lo oking for a way to earn an income for my family after loosing my job and i love to write but Im just not sure what my niche would be. Im not really an expert on anything but i would love to post short stories and write about current issues as well. Do you think these things would work well in one blog? Would it be interesting? Signing up for your beginners course so i can figure out how to monetize once I figure my content. I already have a domaine name ready to go though if that content is solid enough. Thank you for such an amazing post. I am looking forward to jumping into this field of blogging. I registered for your five day free course and got your welcome email till now. The thing that I want to ask is that how many blog posts are we required to post daily or monthly? what is the required length of post or it doesn’t matter as long as it is of good quality? I am searching for my niche now a days. I am happy you liked the post. Consistency in posting is very important, whether you do it twice or thrice a week. I usually post twice a week. The minimum I aim for a blog post is around 1000 words. I believe anywhere between 1000-1500 would be a good length for a post. Thank you! 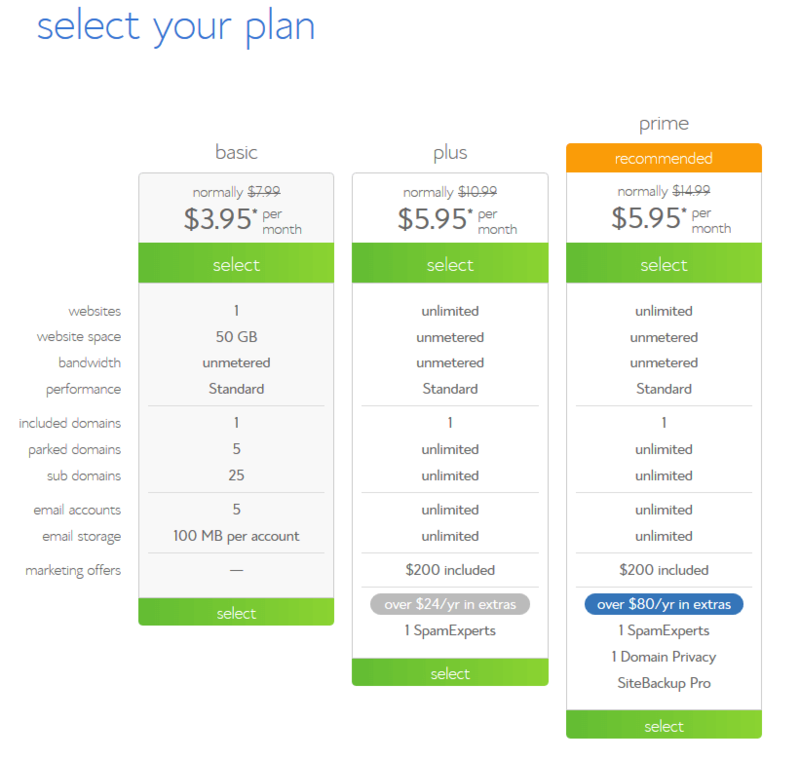 You save a lot of money when you sign up for 12 month or 36 month plans as well as getting a free domain. That is the best way to go to save money and start your blogging journey. Hi Sireesha, i am new in blogging, almost a week and i have one post already in wordpress and it is free. Now when i read your post i am more interesting now to do and write more but i have one question to ask, if i would like to take a basic plan for a year, it is alright if i am not used yet a credit card or any other card to pay as i don’t have a credit card, can i pay a bank draft? My bank account is in the name of my son as i am working here abroad but i am looking also a part time job till i decided to write a blog. and this information ia big help to me to improve my writing skill. i have already my domain name through wordpress. I hope you can give me a tips on how to have my own site in bluehost. Thank you. Pls.reply. Congratulations on starting your blogging journey! You can get in touch with the hosting support to clarify your doubt. They are really good and available 24/7. On an average I would suggest having at least up to 1000 words. But I know that some posts might not have that much information,so there is no set benchmark. Just try to keep the post as descriptive and helpful for your readers. Thank you for commenting! You can make money in different ways with blogging like affiliate marketing, sponsorships, advertising. You can also create products like ebook, courses or offer services through your blog. WordPress.org will give you more freedom to monetize your blog, which is not possible with .com. I am very interested in this. Thanks for the very informative post. I am 33 weeks pregnant and really want to be able to stay at home with our first baby, just need a way to make some money to do so. I was thinking about blogging about my 3 1/2 year journey to becoming pregnant with all the infertility treatment and becoming a new mommy. I do all kinds of painting and DIY crafts and my husband and I are currently renovating our first 1920’s house from no experience. Would these be good things to implement in my blog? Also do I have to sign up with iGain, Flexoffers etc. to make money? If so are these free things or things you have a pay monthly for a well? Thank you so much again for your post! Thank you so much for commenting:-) I am so glad you liked the post. Mommy niche is surely a great topic to blog about, you can also share other topics like your hobbies, side hustles etc. iGain and Flexoffers are affiliate networks and you don’t to pay anything to join them. They have some great brands to promote. If you intend to make money with affiliate marketing, then you will have to join affiliate networks. Amazon is also a great choice to promote the brands you like. Thanks for this helpful post. I am already a blogger and all I was looking for was the tricks to make my blog get higher number of visitors and earn some money. Second, I have loved wordpress.org for great freedom to monetize my blog. I have tried affiliate marketing, Google AdSense, and mediavine which are awesome. I am looking forward now to grow my traffic. cheers for the information.